In our family, we love movies. We throw an annual Oscars party, we buy tickets for midnight premiers, and we definitely love a good movie night at home. There’s something really nostalgic about gathering around as a family to watch a great film together. My son’s latest movie obsession is Dreamworks’ Penguins of Madagascar. The day it came out in theaters he had to see it…right then. Now that it’s out on Digital HD (a whole month earlier than Blu-ray/DVD!! ), you better believe the whole family is excited to celebrate at this week’s family movie night. 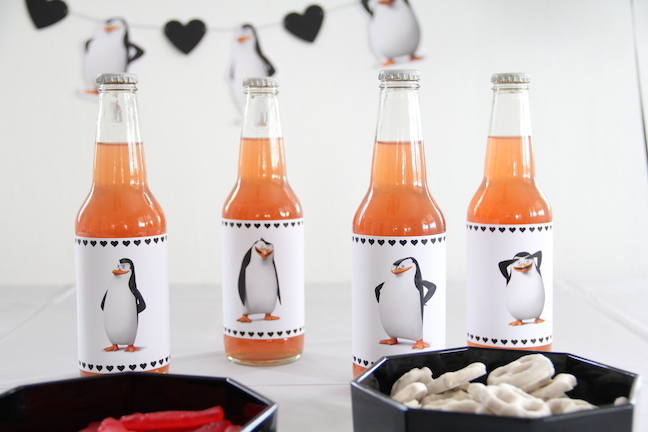 Here’s what our Valentine’s Day themed Penguins of Madagascar family movie “date” night will look like, plus, how you can DIY your own party at home! We think that the snacks are almost as important as the movie! Almost. 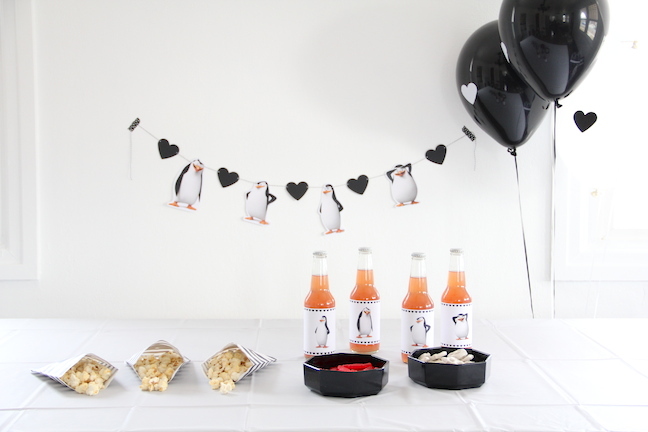 For this party, I’m filling small striped bags with the classic movie snack: popcorn, but I’m sprinkling powdered cheddar cheese on it to make it like “Cheezy Dibbles” (the penguins’ beloved snack). 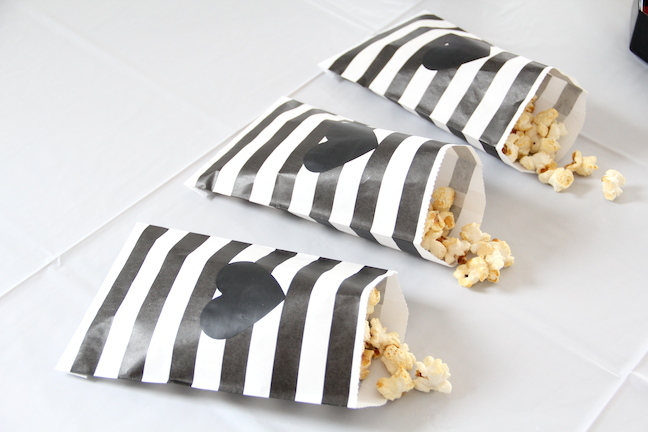 Make the bags even cuter by cutting hearts out of black contact paper and sticking one on each bag.) 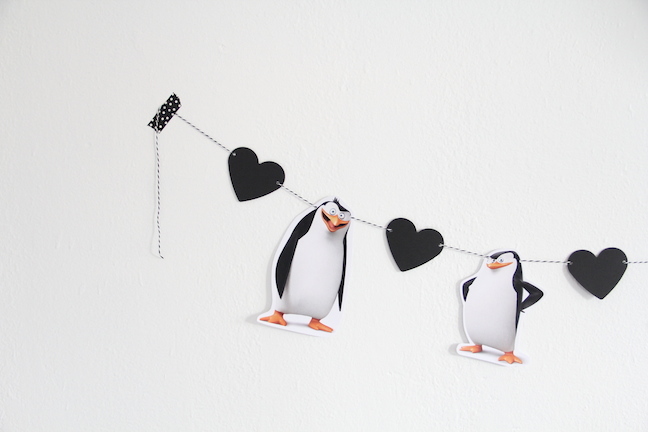 I’ll have bowls of Swedish fish on hand, because Penguins love fish (and they’re red — perfect for V-Day! 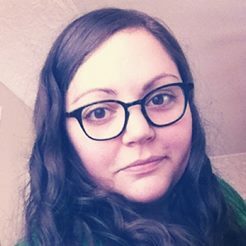 ), as well as white chocolate-covered pretzels. 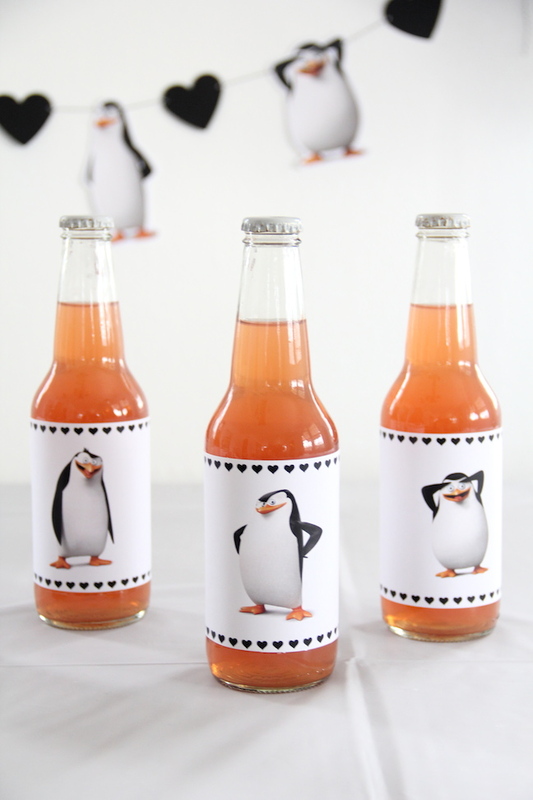 And I’m serving bottled sodas with cute labels (download printable versions). It’s all so easy to do, and my son will love it. Of course, cool decor is a must. 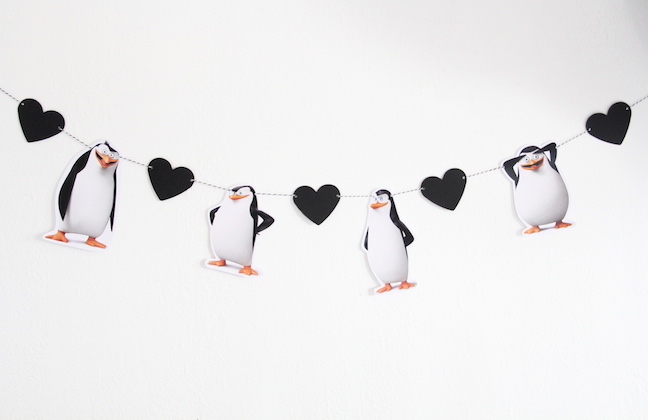 By stringing together images of characters from the movie and cut-out hearts, I created a festive banner in minutes. Balloons are another must. 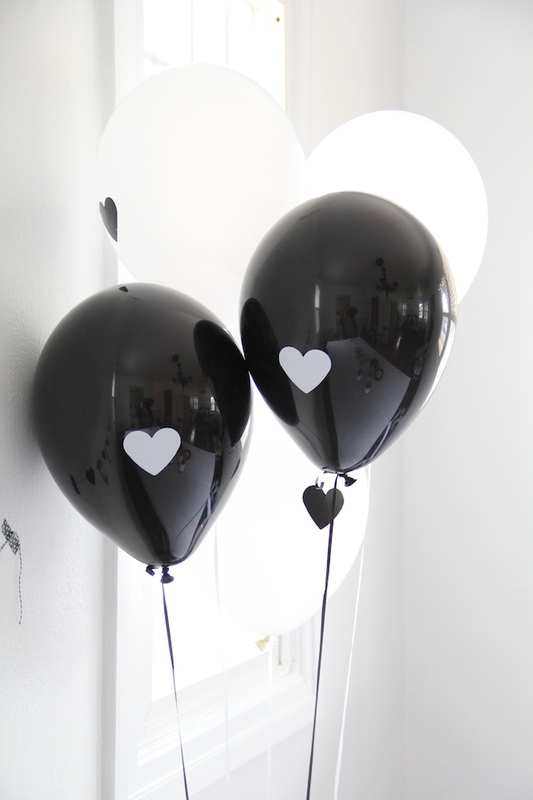 Staying with a black-and-white color theme (to go with the penguins), I used a paper punch and contact paper to make hearts that I could stick onto the balloons. (I love contact paper for this kind of thing, because the back is stick, so I don’t need tape or glue.) 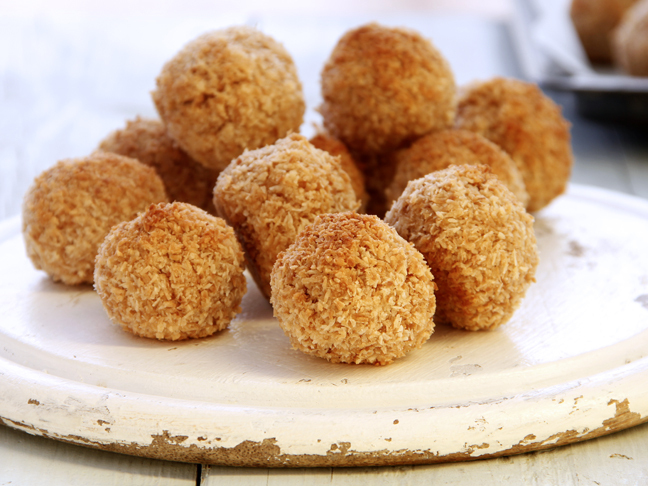 The whole thing is simple — and just look how cute it is! Check out Penguins of Madagascar on Digital HD, and have your own family movie night! *This post is sponsored by Dreamworks.